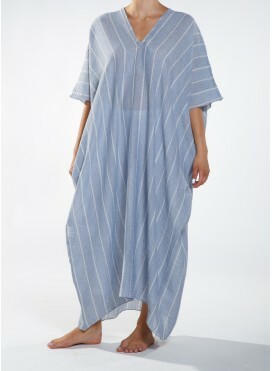 Maxi dress made of elastic viscose in a wide, straight line, featuring thin straps and a straight neckline. It features a this cord in the back which can be tied as a bow creating a feminine sensation. It can be also be worn around the waist as a sash or by itself with flat shoew or high heels throughout the day.